I am beginner with html and css, what kind of jobs i should apply? Any advice would be most welcome. I would focus more on IT administration if I were you, because you can make more money with that than you can with css and html and it seems you already have some experience with that. Many people do css and html, so it is not considered a special skill anymore. Then, you need more sentences in your overview (it is too brief). Also bookkeeper-bookkeeping; delete the reference to lifeguard and just leave it as ' Manager' (capitalize job title in your work history.) Also, do some tests -you really need at least two tests, and it looks better. Also, some videos that Vlad posted-check especially the first one-about creating your profile. Hi Natasa, thanks for your reply and advice. I corrected the deficiencies in the work history. I will definitely add short descriptions inside and add more sentences in my overview. I started learning at the site "codecademy.com." that you're also recommended. My goal is PHP, but I thought that I try to find a job that I can work with the knowledge of HTML. I'll do some tests. I did them on Elance and I thought they were transferred to UpWork. When I finish the above changes, I will come for the new tips. Edit-for updated profile: Miroslave, izgleda mnogo, mnogo bolje! I've tried to send you a private message but for some reason I still can't. Never mind, I 'll write in English here. Your first sentence is a fragment: " Persistence, readiness for teamwork but and independently solve task, commitment to the fulfillment (<--redundant) of the given deadlines, responsibility, excellent analytical skills." If you would like high-quality work with a fast turn around for a fair price, contact me. You won't be disappointed. My goal is giving creative works (rephrase"giving creative..") to my clients at the reasonable price. Then reasons to hire me -cut short and add some different ones because these four that you have are essentially saying the same thing-that you are reliable and available full-time, long-term. Regarding tests, the easy ones are customer service skills test, negotiation skills, social media...Some people might advise you against taking tests unrelated to your field, but since you have just one test now, I 'd take more if I were you. Then add portfolio items as well. Also, some people might say that this photo with your arms crossed implies defiance (prkos , haha) I don't care about the photo (as you can see), but you can try to experiment with that as well if you wish. But I would care first about overview, portfolio and tests if I were you. P.S. I saved the part of the old post, in case you need it. Sve najboje opet i puno, puno srece i uspeha ! It would be foolish of me not to accept your advice Natasa. You explained me in detail what is okay and what is not, and I think I've changed... Well, at least something. I'll try these days to add my portfolio. When you have spare time take a look at the changes I made. To reduce spam private messages being sent to users we removed the ability for new community members to send or receive PMs for a short period of time. You should now be able to send your message through PM. While using the forums please use English. I advise you to constatly refresh "My Job Feed" and apply to the most recent jop postings. Try to be unique, try not to send generic Cover Letters, and answers to the questions, even tho every question have similar answer, expect the custom written ones. 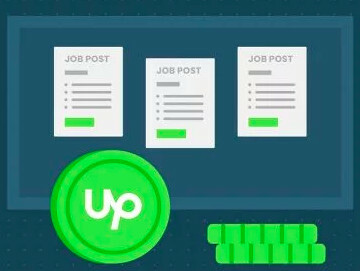 Since you are new, be honest with the client, say that you are new to the UpWork platform, try to bid 50% - 70% of the budget. Don't use your connects on unverified client accounts. 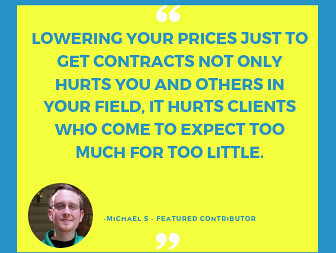 Also be patient with the clients once you get your first contract. I am working as a graphic desinger, and sometimes even if I do the job according to standards, and according to client wishes, the matter of clients personal taste, and views of the project can kick in, try to be professional when it happens. Be always open for suggestions, and always suggest... I remember when I started, this things helped me in the beginning, and I'll be honest, it helps me now maintane my profile status. Happy bidding, give your best. Thank you Nikola for tips. I am trying with the lowest amounts. What do you think it is ok for beginning or to bid from 50% to 70% of the budget as you suggested? First thing I will have to say to you don't limit yourself, if you think you can successfully finish the job, bid reasonable, even if the bid is bigger than than budget, or 50% lower, it doesn't matter. No one says that you can't get the job with $$$ budget, it is that you have to build up the cover for your words, and good feedback will speak instead of you. I suggest that you start with the lower budget projects, but as I said, even if you find something and you think you can succesfully finish, you bid for that project also, my suggestion for bidding is somewhere between 50% - 70% of the budget, becaue that will get clients eye on you, since you don't have the feedback, and once they read that you are new to the platform, you will justify your bid. I'll tell you something, some clients doesn't like lower bids, because if you bid less than it is normal, they will think that you don't respect yourself and your work, I met many people who didn't want to hear to pay lower price, even tho I was fine with it. Earn their trust, and you will earn long term clients, who will offer you first to finish new projects they have. 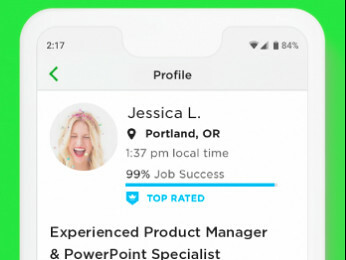 I wish you all the best in future use of the UpWork platform, it have flaws, but it is still good. I'm going to "hunt" for the trust. You've wished me luck... the rest is up to me.